NASA’s WISE has surfaced a far-flung galaxy, which is supposed to be shining intensely with infrared light with an intensity of nearly 300 trillion suns. The extremely luminous infrared galaxy (ELIRGs) is one of the most luminous galaxies to be discovered till date. Chao-Wei Tsai at NASA’s JPL claimed that they have been witnessing an enormous stage of evolution taking place across galaxy. They are assuming that the source of the intense light could be from the growing spout of the galaxy’s black hole. According to Professor Andrew Blain, the co-author of the study, the new galaxy, called WISE J224607.57-052635.0 could have a supermassive black hole building up in size at its base and hence might be gourmandizing itself on gas. Generally, gigantic black holes gain nourishment by soaking up gas and matter into a disk that surrounds them. With the passage of time, the disk gets heated up and eventually blasts out intense high heat, energy, visible, ultraviolet, and X-ray light. During the initially phase, the surrounding dust obstructs light but as the mass of dust heats up, it exudes infrared light. Space is already saturated with large number of black holes but the current finding has been the hugest so far. 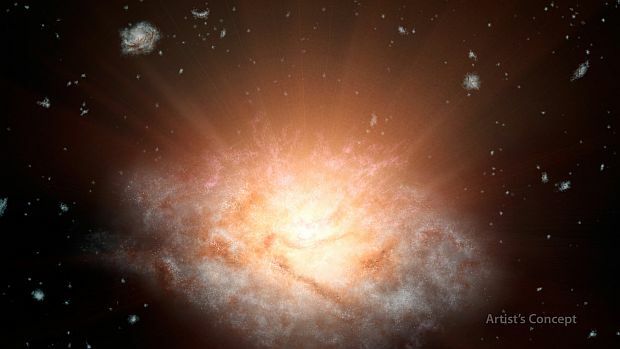 Another important point that comes under the radar of observation is, light coming from the galaxy has passed through nearly 12.5 billion years to reach us, which means, the so-called explosion might have taken place in the past but we are seeing it today. The black hole is enormously huge in front of our sun, astronomers calculate it to be nearly billions of times the mass of sun, where our universe is only a tenth of its current age of 13.8 billion years. Hence, precise answer to these luminous galaxies are yet to be given which means more research is left to be done in this regard. Knowing the true nature of these intense explosions will not only reveal their history but also of our cosmos, an answer, which is one of the most, sought after by many space scientists. WISE has been finding and surfacing similar bizarre fire emitting galaxies through infrared images since 2010. 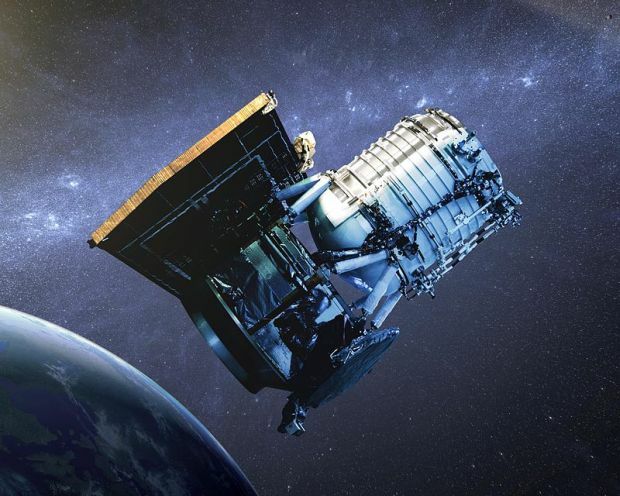 Wide-field Infrared Survey Explorer (WISE) has been able to catch extraordinary cosmic specimens that might have been overlooked so far.